Do you want to give a colleague access to your Sleeknote account? 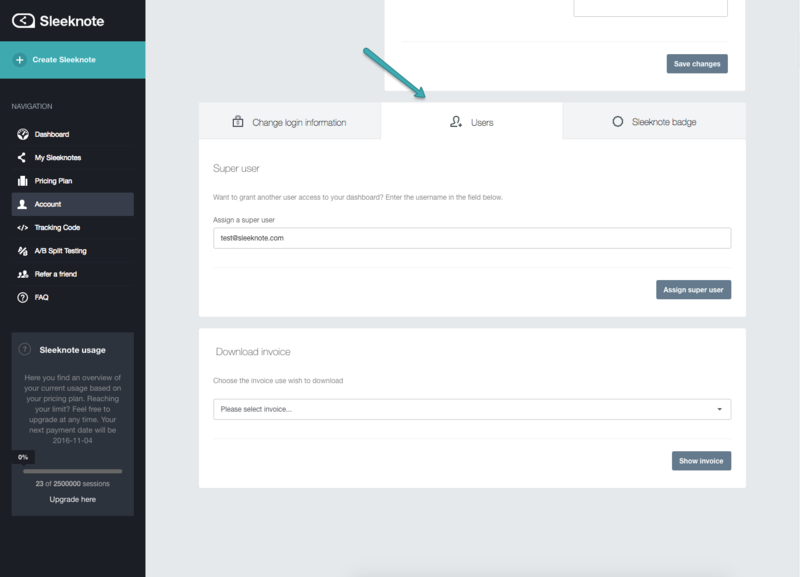 If you'd like a colleague or a friend to have access to and be able to edit your campaigns, you can add their email address under Add super user. Go to 'Account', then 'Users.